It is thin, lightweight and portable, very convenient for traveling or going on business trips. It has two bags with two different sizes, which enable you to classify the clothes clearly. 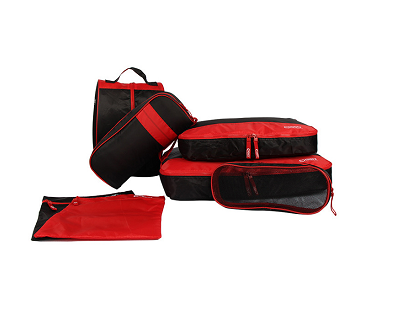 It has two bags with two different colors, which help you to classify the underclothes perfectly. 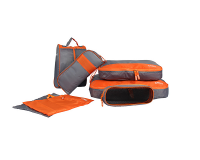 The storage bags set are made of high quality dacron and lined with asepsis cotton, which makes daily life waterproof and moistureproof. 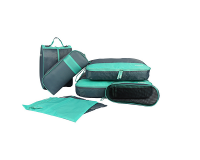 It has everything you want in a set, including clothes storage bag, shoes storage bag, underclothes storage bag, power cord storage bag and wash bag.